The convenient height of the Galena Collection along with the warm cherry finish will be a welcome addition to your casual dining space. The five pack offering includes the counter height table with display storage base and four coordinating chairs that have dark brown bi-cast vinyl seats. The transitional styling makes the placement of the collection appropriate for numerous home decors. 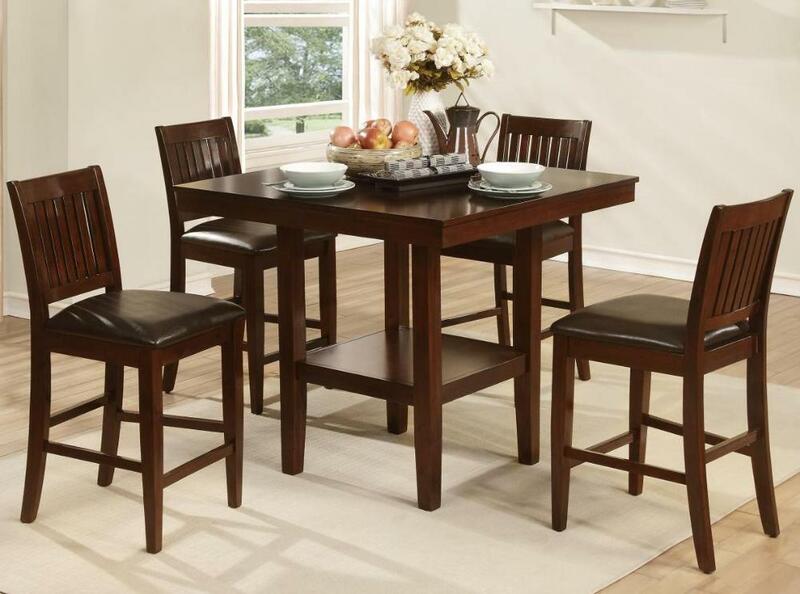 FEATURES: Warm Cherry Finish ~ Transitional Style ~ Display Storage Table Base ~ Dark Brown Bi-Cast Vinyl Seat Chairs.